I've been mucking around with the shutter priority function trying to get a good blur on the main rotor but still a nice sharp body. I am static IE standing on the ground shooting heli's taking off and landing. I have found 1/50 to 1/160 to be pretty good, depending on the lighting. Can anyone give me and my fellow novices some solid advice as to how to go about getting a good result? I am interested in moving on to air to air shots later as well. Well done, although you should be flying, get back to work!!!!! You will find on average that you should always use 125th of a second or less when shooting helos. That way you get good depth of field as well as getting the blade movement. On the ground I try to play around the 30th of a second area as it results in some great shots. Air to air I can shoot down to about 30th when needed thanks to the new image stabilised lenses by Canon. Thanks Ned, I shall work around with those settings. Let me know if you are chucking out any of your image stabilised lenses! phugoyd wrote: Well done, although you should be flying, get back to work!!!!! Even though this image was taken above 1/60th you'll start to get what I mean about panning to keep it sharp. 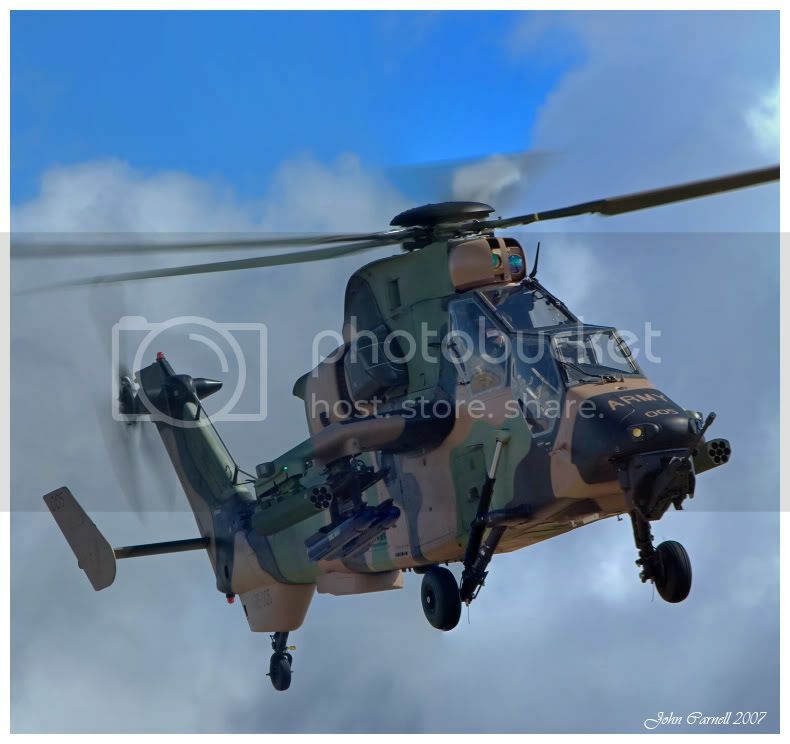 This one was taken at 1/60th and you get the blades blurred and the helo sharp. Unless you have the steadiest hands in the market a gimbal head is the answer..